New Orleans will soon become the first city with an all-charter school district, but the education landscape looks much different across the rest of Louisiana. 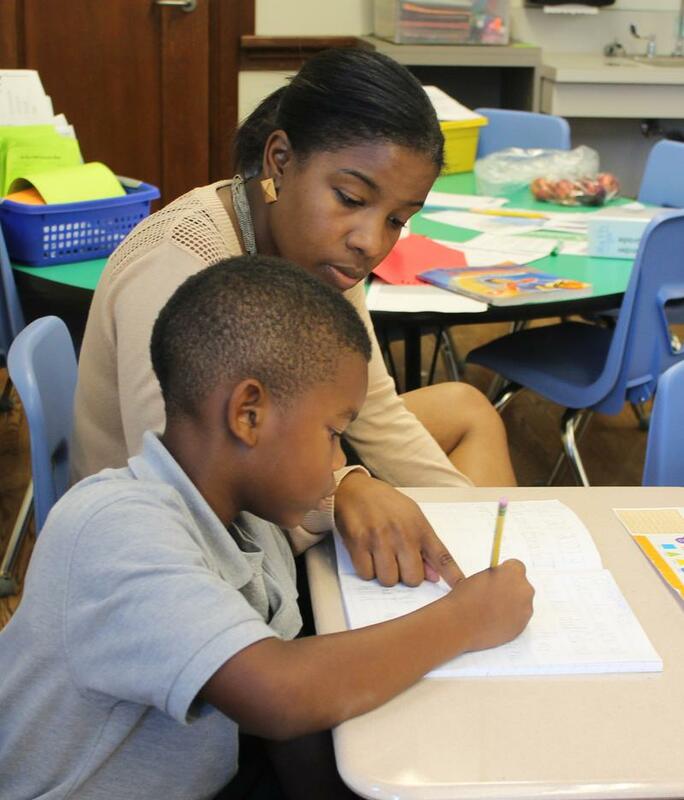 Many parishes have few or no charter schools, but that's starting to change. The Louisiana Association of Public Charter Schools recently hosted Apply Yourself!, a three-day training for people who want to start charter schools. Most people at the training were not from New Orleans, and many are trying to start the first charter school in their parish. Veronica Brooks is Policy Director for the Louisiana Association of Public Charter Schools. Three years ago, she realized that many people were mystified by the charter school application process. "There were a lot of groups who felt like the process was really non-transparent," she says. So Brooks helped organize Apply Yourself!, a "boot camp" for people who want to start charter schools. This year, about 30 people came to the training. They sat through workshops on forming a board and crafting a mission statement. Brooks noticed something different about this year's group. "When we first did Apply Yourself! it was mostly folks from New Orleans who were interested in opening charter schools," she says. "This year the overwhelming majority of people are from outside of New Orleans." Brooks sees two main reasons for the shift. "I think that the market in New Orleans is fairly saturated," she says. "So in terms of opening more schools, perhaps there's just not as much of a need anymore. And then also, for a long time in the state I think people associated charter schools with just a post-Hurricane Katrina phenomenon. It doesn't have to just be a New Orleans thing, and I think people are really realizing that." Dr. Claudette Aubert is one of those people. She’s a retired teacher, and she wants to open the first charter school in St. James Parish. "In our parish we still have elementary schools with a D," says Aubert. "We have low scores. And a lot of the younger people are leaving the areas because they’re not satisfied with the school system. So now we’re actually losing people." Aubert hopes a new school will keep families in the parish. But she says she’s faced some resistance. "Now we’ve been fought," she says. "To be honest with you. Matter of fact, we had to recently educate even the board about charter schools because they were saying that we're gonna close schools. We’ve done a lot of community awareness meetings. We placed articles in the newspaper. Now people are seeing. We’re not closing these schools, we’re going to add." Lisa Proffit-Rau wants to start the first charter school in Tangipahoa Parish. Like Aubert, she has a connection the local school system — as a parent. "I had a daughter going into kindergarten and I just remember feeling despair in the opportunities for her education future in our local school system," says Proffit-Rau. "And I called the mayor and some community leaders and we put together a board and we've been at this for four years." Four years because she’s been turned down by the local school board. Twice. Now she’s applying directly to the state. Proffit-Rau says despite the setbacks, she’s noticed changes in the application process. "The Tangipahoa Parish school board, the first time we went to them, they didn't even open the application. I mean they just denied us without even considering. And this time they spent some time considering. I think that we're seeing some change with how people are understanding what a charter school is." Those changes are drawing attention from outside the state. Alexine Wright lives and works as an educational consultant in Mississippi. But she wants to start her own charter school here in Louisiana. "Right now Mississippi really has not taken the steps to fully implement and create charter schools," she says. "And when I saw that Louisiana has a number of charter schools already developed, I said well, why not bring my expertise to Louisiana, get started here and try to expand across the United States?" Last year, 35 groups applied to start schools in 19 parishes. As the charter school model takes hold across Louisiana, Veronica Brooks expects that number to grow. Copyright 2016 WWNO-FM. To see more, visit WWNO-FM. Just after Hurricane Katrina, the entire teaching staff of The Orleans Parish School Board was fired. Last week, a state appeals court ruled that those teachers were denied due process. When a group of Mid-City residents proposed opening a school four years ago that would be racially and economically diverse, they were greeted with doubt. Skeptics thought Morris Jeff would end up like most other public schools in the city: almost entirely African American and low-income. “The understanding (was) that you guys are delusional. Once the school is open (it) will look the same way that all public schools who are open access look,” said Celeste Lofton-Bagert, one of the founders.